You’ve always dreamt of coming to live in Bordeaux? Come and discover this beautiful city thanks to your rental of a furnished studio in Bordeaux. 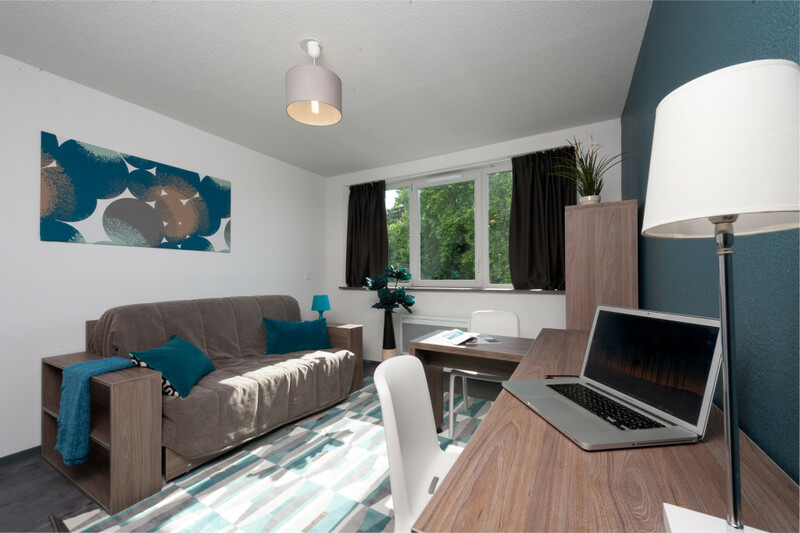 Our Study’O Bordeaux Garonne residence is ideally located in the heart of the University campus, close to schools, shops and public transport to make your life easier. A dedicated team is present in our Study’O Bordeaux Garonne residence so that you feel at home in your furnished studio in Bordeaux! The reception of our residence is open on Monday from 8:30 AM to 1:30 PM, on Tuesday from 2:45 to 5:45 PM, on Wednesday and Thursday from 8:30 AM to 1:30 PM and from 2:45 to 5:45 PM, on Friday from 8:30 AM to 12:30 AM and from 2:00 to 5:00 PM. It is closed on weekends and holidays. Book now your furnished studio in Bordeaux via our on-line form.